Enjoy every step of a young girl’s first trip to the market. Delightful things await her in the market. Available in both English and Filipino. A Day in the Market (Araw sa Palengke) is about a little girl’s very first trip to the market with her mother. The market is indeed very fascinating as she meets lively vendors, sees their amazing offerings and sets her eye on something very special. Find out what this very special thing is, and enjoy the sorting game and the cooking game that come with the story. Thank you very much for the honor given to our company, Adarna House, with the Digital Ehon Prize, Honorable Mention. 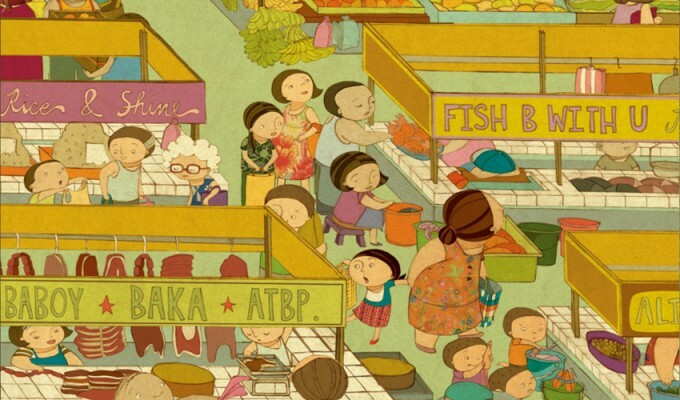 Our app aims to transform what is best in our picture book, A Day in the Market, into a digital medium. 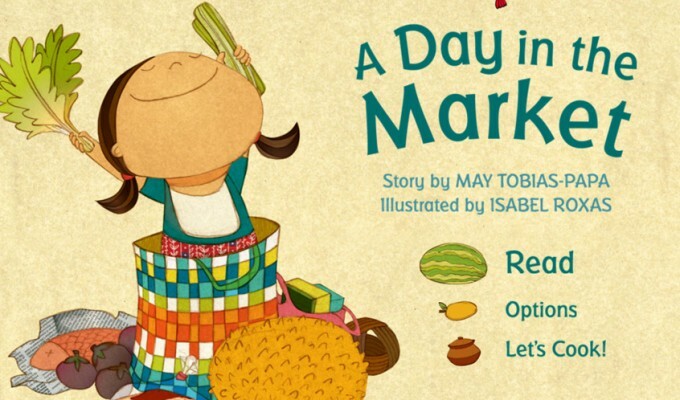 A Day in the Market is a beautiful picture book written by May Tobias-Papa and illustrated by Isabel Roxas. The book, which is about a young girl’s trip to a Filipino wet market, is also a testament to the love between a mother and daughter. As a picture book, it has won various awards. We are very pleased to receive recognition from your distinguished jury. To us, it means that the app has successfully captured the cultural context as well as emotional nuance of the story through its interactive elements, animation, and sound. The recognition you have given us is an inspiration for the creation of more quality apps. It is a very sophisticated app, genuinely transforming the world of a picture book into digital. The scenes, including where the character jumps on a bus, and the lively market were expressed with vibrant movements and felt comfortable reading the book. I enjoyed experiencing Philippine’s unique cultural vibe through the illustrations. I just love this piece.